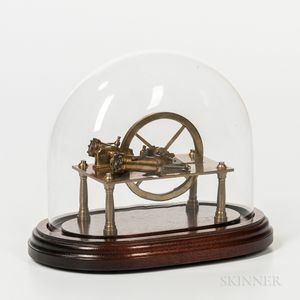 Miniature Lacquered Brass Stationary Engine, four turned and tapered legs below the dual pistons flanking the 3-in. dia. 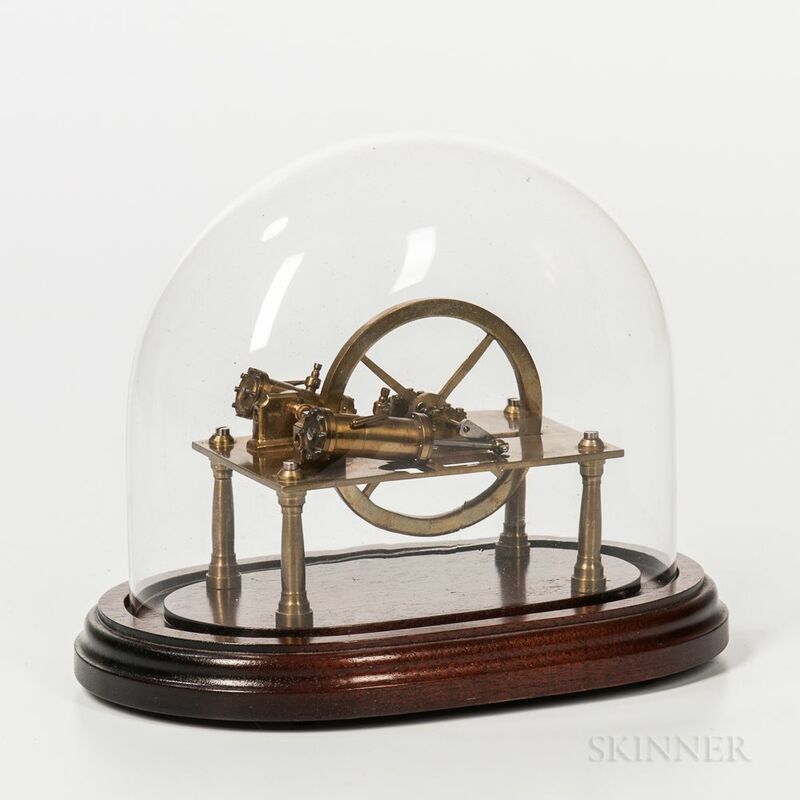 spoked wheel, mounted to a wooden base with glass dome, instrument ht. 4 in.